Your first year, you will not really have a choice in the classes you take. That is true for both semesters of your 1L year. However, your 2L and 3L years, the classes you take are pretty much up to you. Credit requirements: To graduate, you have to complete a certain amount of credits. At my school, it is 88. While this requirement isn't difficult to make, it is something to keep in mind. Chances are, taking 12 credits each semester isn't gonna cut it. Certificates: Some schools offer certificates in certain areas of the law. For example, you might be able to get a certificate in Environmental Law or Health Law. If you interested in pursuing a certificate, make sure to check the class requirements so you aren't stressed your second semester 3L trying to get a certificate. 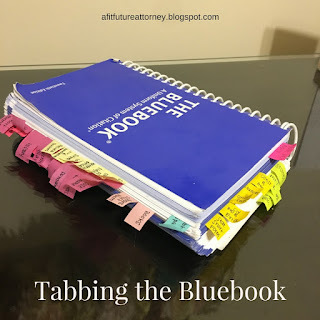 Bar Classes: Most law students will be taking the Bar Exam after graduation. 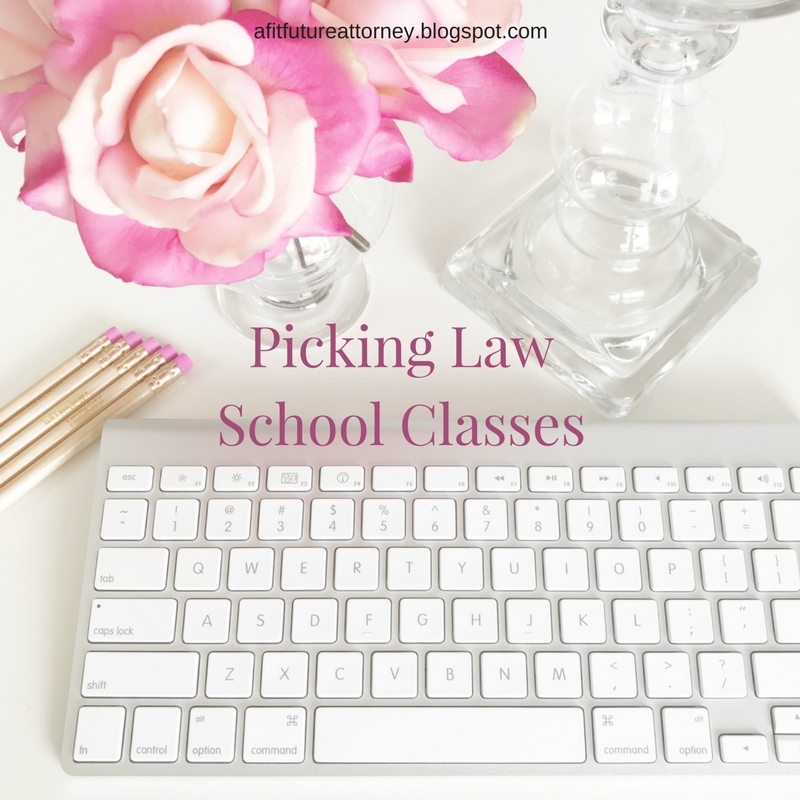 It is a smart idea to take at least one or two bar classes a semester in order to prepare for the bar. Common bar subjects include: Civil Procedure, Corporations, Evidence, Secured Transactions, etc. Extracurricular Involvement: If you are planning on being very involved a certain semester (for me, it will be my 2L fall semester), it may be better to take a lighter course load that semester. Just something to keep in mind while planning out your classes. Additional Requirements: Many, if not all, law schools have additional requirements you must meet in order to graduate. Some common extra requirements are "skills" classes or writing classes. Some schools may require clinic or pro bono work, so make sure to take these requirements into consideration. Timing: If you know you are not a morning person, don't take all morning classes. If you know you need an hour between classes to prepare, make sure to design your schedule to have these breaks. I don't like taking evening classes, so I made sure that none of my classes meet after 5 p.m.
Professors: Some professors have a teaching style that fits your learning style, and others may not. If you know you love how a professor teaches, try to take their classes. If you know you struggle learning from a certain professor, maybe try to avoid their classes. Finals Schedule: As a first semester 1L, I had no idea why 2Ls picked their schedule around finals. Now, I can see why. 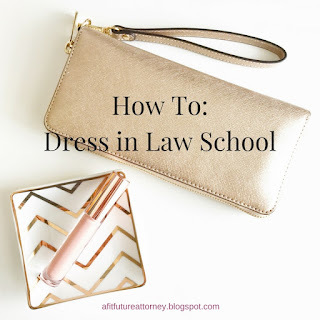 Law school finals are TOUGH, and you definitely want to space them out or have as few as possible. If at all possible, look at the finals schedule when you are picking your classes for each semester. 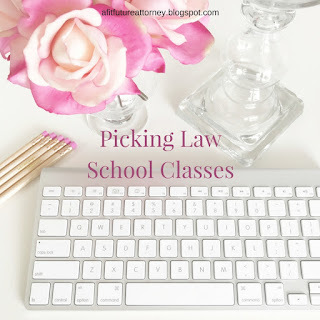 There are numerous factors to consider when you are picking your law school classes, and I obviously did not touch them all, but these are just some of the more common and more important ones. Next semester, I will be taking Evidence, Family Law, Corporations, and a domestic relations mediation class. What will you be taking? Leave it in the comments! !